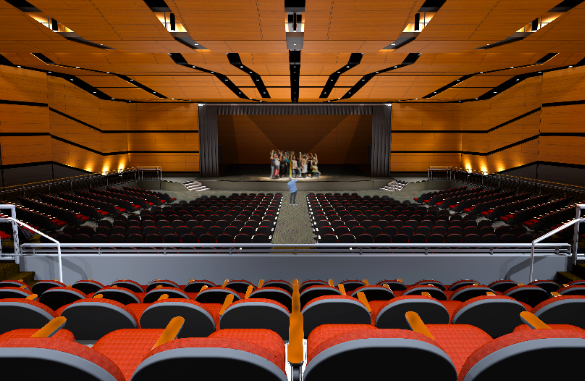 The Sanford Schools Legacy Foundation invites you to name a seat and become a permanent part of the new Sanford Performing Arts Center. A seat in the new theater, inscribed with your name, a loved one’s name, your business, or in memoriam, serves as a reminder of your commitment to the City of Sanford and the performing arts. 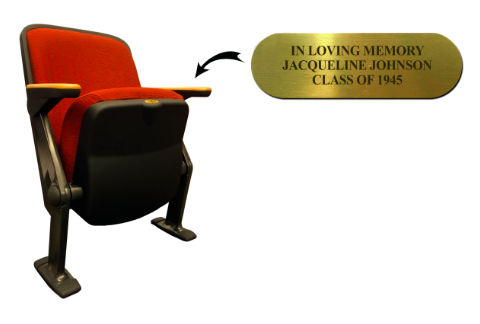 For a one-time, tax-deductible donation of $100, your name will be engraved on a nameplate and placed on the armrest of a theater seat. The nameplate will remain in place for the life of the seat, making this a long-term naming opportunity. • Please note that naming a seat does not imply ownership of the seat or reserve the use of the seat for any performances. • All contributions are tax deductible to the extent provided by law. • We will attempt to accommodate requests for specific seats on a first-come basis. Click the button below to download an updated map of available seats. • Place your own name on a seat as a statement of support of the SPAC. • Place the name of your business or organization on a seat to demonstrate corporate support of the Performing arts in Sanford. • Name a seat in memory of a loved one. • Name a seat in honor of friends, family, teachers, ministers, or even a beloved pet! • Name a seat in honor of a favorite Sanford production or performance.